Miranda Priestly might’ve scoffed at the suggestion of florals for spring (brownie points for those who remember the iconic movie moment), but when it comes to skin care, few things feel more fitting in your spring skin care routine than floral-infused formulas and beautiful botanical blends. With Extracts of Rose, Gardenia, and Thyme (oh my! 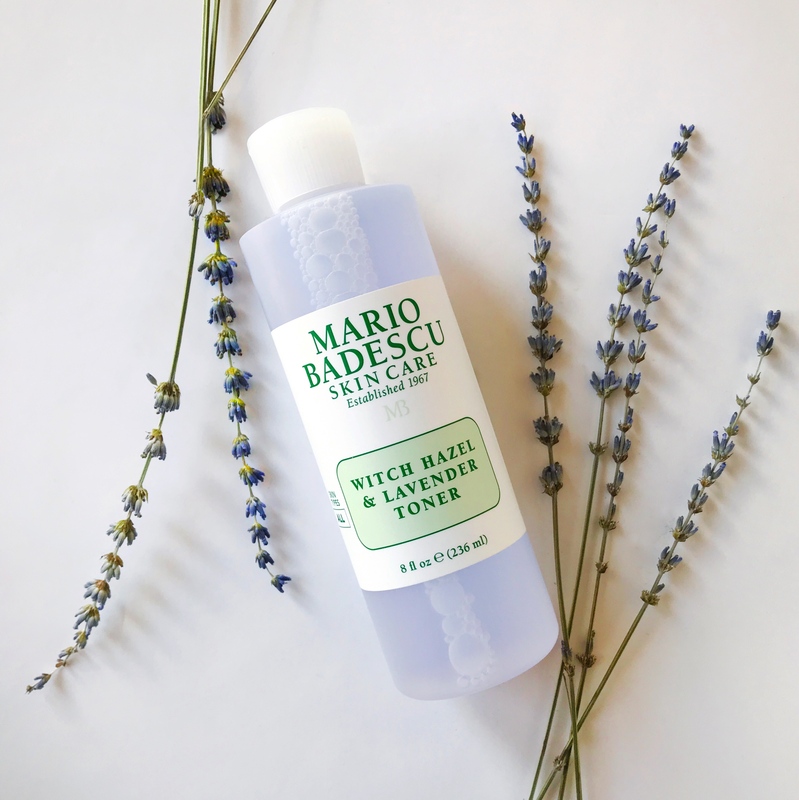 ), this cult-favorite Mario Badescu facial spray a surefire staple in every medicine cabinet. In fact, we suggest stashing a bottle wherever you can: your desk (or in your drawer to keep away from shamelessly mist-heavy co-workers! ), your handbag, and your fridge (for an extra cooling boost). Gardenia and Rose Extracts are beloved for their ability to help improve moisture levels and Thyme boasts clarifying properties, which makes this mist a favorite no matter your skin type—especially if you embrace the dew. For a fresh-faced, rejuvenated complexion, reach for this after every cleanse. Aloe Vera replenishes skin with soothing hydration and a floral blend of Black Rose, Rosewater, and Rose Oil helps provide an antioxidant boost. 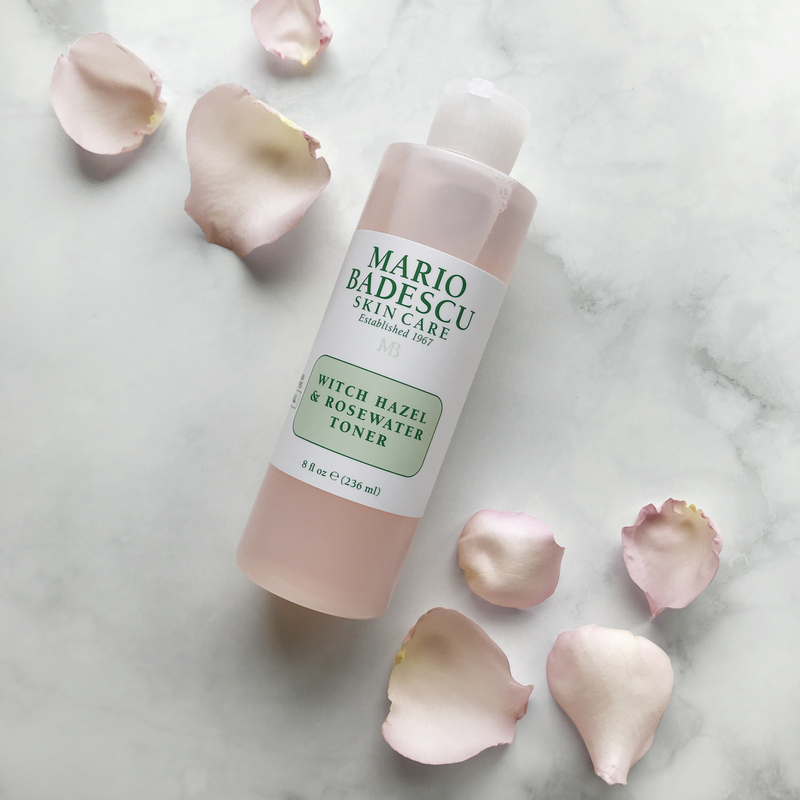 This toner ensures surface impurities are removed without stripping skin of its natural moisture—restoring clarity and radiance to skin with continued use. The name was a dead giveaway, but let’s delve into the botanical extracts that give this mask its name. If we’re sticking to strictly florals, there’s a Gardenia and Evening Primrose infusion—but you’ll also find Olive Leaf Extract in here, too. When combined with other moisturizing ingredients like antioxidant Vitamin E and tempered with natural oil-absorbent minerals, Flower & Tonic Mask is a staple that works to balance your complexion. You get the deep clean all skin types (including dry and sensitive skin!) need plus skin-smoothing benefits. What’s not to love? Rosehip is technically the “accessory” fruit of the rose, but let’s not dwell on technicalities and instead, focus on the benefits. Rosehip is known for its antioxidant properties and shown to help improve moisture levels—so when both Rosehip Extract and Rosehip Oil are used in a formula, you know it’s a match made in heaven for dull, dehydrated skin. Enter Rose Hips Mask, which not only contains both forms of Rosehip, but also ingredients like Extracts of Evening Primrose, Olive Leaf, and Lemongrass in addition to antioxidant Vitamin E, Kaolin Clay, and Zinc Oxide. Leave the mask on for 15-20 minutes and what you’re left with is a complexion that appears moisturized, soft, and smooth to the touch—with an added youthful glow. You’ll find Rosehip Extract and Rosehip Oil in our Rose Hips Nourishing Oil, too. Don’t be fooled by the lightweight feel of this facial oil, though: it packs serious punch in the moisture department. Apply it all over or just in targeted areas to help revive dehydrated skin and smooth the appearance of dry, flaky patches. #MBSkinTip: We love using this multi-purpose oil on our cuticles too! It’s portable size makes it a handbag or deskside staple—so if ever your face or cuticles are in need of a moisture boost, you have your Rose Hips Nourishing Oil at the ready. Glycolic Acid tends to get the spotlight in this resurfacing face wash (which should only be used 1-3 times a week in place of your normal facial cleanser! ), but there’s also a botanical blend that works to restore balance at the same time. With floral extracts like Chamomile and Yarrow (plus a botanical blend of Marshmallow—the root, not the puffy hot chocolate topper! ), Glycolic Foaming Cleanser is able to address concerns like dullness, congestion, and uneven skin tone and texture without leaving skin feeling tight and dry. Lactic Acid is the hero ingredient that makes this moisturizer so unique, but the Chamomile Extract is deserving of a mention, too. Buttermilk Moisturizer provides soothing hydration in addition to gentle resurfacing benefits that take dull and dehydrated to smooth and rejuvenated. And here we have another Chamomile contender, which proves just how classic this floral extract. Designed to deliver soothing moisture and nourish parched skin, Chamomile Night Cream is a rich formula that was designed specifically to comfort dry, sensitive complexions all night long. If you adore Chamomile in your skin care, pair this night cream with our Chamomile Eye Cream. Just like its face cream counterpart, the eye cream boasts a luxurious texture that makes it a dream for delicate, dehydrated under-eyes. Our latest toner was formulated with stressed skin in mind. Clarifying Witch Hazel and a soothing infusion of Lavender Oil, Lavender Essential Water, and Aloe Vera combine to make the perfect, post-cleanse boost that restores calm and clarity to skin. Pair it with your favorite cleanser twice daily if you’re a Lavender enthusiast or use it exclusively in the evening as part of your pre-bed routine. There will always be a time when your skin craves calm and comfort—no matter your skin type. This calming blend of Chamomile Extract, Lavender Essential Water, and Lavender Oil is enriched with antioxidant Vitamin C to create a facial mist that leaves your complexion balanced and bright.